Following the second presidential debate and controversies surrounding both campaigns, Hillary Clinton’s lead over Donald Trump has expanded to nine points now nationally. Forty-seven percent of likely voters support or lean towards Clinton, while 38 percent support Trump. Libertarian candidate Gary Johnson gets 8 percent of likely voters, while Green Party candidate Jill Stein receives 3 percent of the vote. Two weeks ago, Clinton’s lead was four points. In a two-way match-up where third party candidates are not named explicitly, Clinton leads Trump 51 percent to 40 percent among likely voters, including leaners. This poll was conducted amid allegations by a number of women accusing Trump of inappropriate sexual advances, and the leaking of a high level Clinton campaign official’s emails. Trump has lost some support among members of his own party. Seventy-seven percent of Republicans support him now, down from 84 percent before the Access Hollywood tape and allegations of sexually aggressive behavior surfaced. Hillary Clinton opened up a wide lead among women voters after the first presidential debate and she continues to get strong support from that group, leading Trump by 19 points among them. If this advantage holds on Election Day, it would be the largest margin for a Democrat among women going back to 1972 when exit polls were first conducted. Trump has lost some ground with men and older voters. He now has just a two-point edge among men; he led by 11 points earlier this month. Trump leads with white voters overall, including white men, but the race is close among white women. Republican Mitt Romney won white women by 14 points in 2012, according to exit polls. Trump continues to struggle with black voters, more than eight in 10 of whom are voting for Clinton. Whites without a college degree remain some of Trump’s strongest backers – he leads Clinton by 19 points among them - while Clinton is ahead of Trump among white voters with a college degree. Expectations among voters that Clinton will win the election continue to rise. 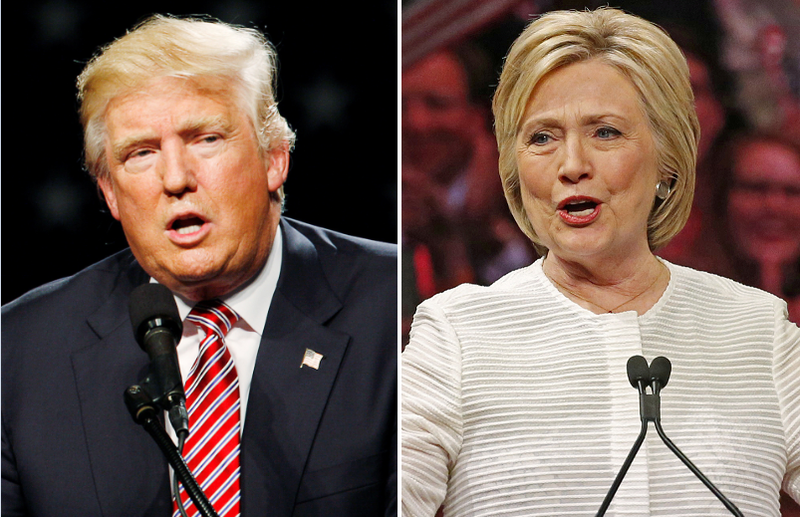 Regardless of which candidate they support, 63 percent of registered voters expect Clinton to finally win the 2016 presidential election; 26 percent expect Trump to be the winner. Nine in 10 Clinton voters (94 percent) think their candidate will win, while 61 percent of Trump supporters say he will win. A quarter of Trump backers expect Clinton to prevail. After a contentious second presidential debate, allegations of improper sexual contact, and leaked emails, 82 percent of voters say this presidential campaign is more negative than previous ones, a jump of 15 points just since September and the highest figure in CBS News Polls. This view is held by majorities of Republicans, Democrats and independents. So far, Trump’s comments about making advances toward women on a decade-old video are having a more negative impact on him than the leaks of Clinton’s Wall Street speeches are having on her. Forty percent of registered voters say they have a worse opinion of Trump as a result of his comments on the video, though most – 56 percent - say their opinion is unchanged. Women (44 percent) are more likely than men (36 percent) to have a worse opinion of Trump as a result of his comments. As for the alleged excerpts of Clinton’s speeches, 68 percent of voters say those have no effect on how they view Clinton. Twenty-four percent say they think worse of her, rising to 40 percent among Republicans. Even among voters who have heard or read a lot about the speeches, six in 10 say the excerpts do not change their opinion of her. It should be noted that more voters nationwide have heard or read about the Access Hollywood recording than have heard about the leaked emails reportedly containing Clinton’s speeches. Eighty-five percent of registered voters have heard something about Trump’s comments, including six in 10 who have heard a lot. On the other hand, half of voters have heard or read something about the transcripts of Clinton’s Wall Street speeches, including just 21 percent who have heard a lot. With three weeks to go until Election Day, most Clinton and Trump voters say their minds are made up. Ninety-three percent of Trump voters and 94 percent of Clinton voters say they are sticking with their candidate. Voters choosing a third-party candidate such as Gary Johnson or Jill Stein are far less secure in their decision. Just over half of each candidate’s supporters strongly favor their candidate. Those voting for Johnson, Stein, or another third-party candidate are largely doing so because they dislike their other options. Forty-five percent of Trump voters are very enthusiastic about voting this year, compared to 42 percent of Clinton voters. This poll was conducted by telephone October 12-16, 2016 among a random sample of 1,411 adults nationwide, including 1,189 registered voters. Data collection was conducted on behalf of CBS News by SSRS of Media, PA. Phone numbers were dialed from samples of both standard land-line and cell phones. The sample of likely voters is modeled among registered voters (N=1,189), assigning each respondent a probability of voting based on their responses. The margin of error for the sample of likely voters is plus or minus three points. This poll release conforms to the Standards of Disclosure of the National Council on Public Polls.